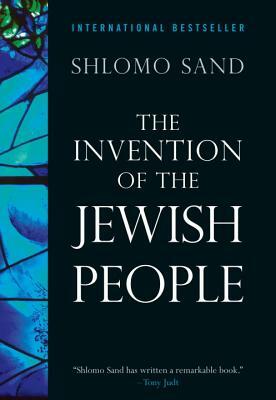 A historical tour de force that demolishes the myths and taboos that have surrounded Jewish and Israeli history, "The Invention of the Jewish People" offers a new account of both that demands to be read and reckoned with. Was there really a forced exile in the first century, at the hands of the Romans? Should we regard the Jewish people, throughout two millennia, as both a distinct ethnic group and a putative nation--returned at last to its Biblical homeland? Shlomo Sand argues that most Jews actually descend from converts, whose native lands were scattered far across the Middle East and Eastern Europe. The formation of a Jewish people and then a Jewish nation out of these disparate groups could only take place under the sway of a new historiography, developing in response to the rise of nationalism throughout Europe. Beneath the biblical back fill of the nineteenth-century historians, and the twentieth-century intellectuals who replaced rabbis as the architects of Jewish identity, "The Invention of the Jewish People" uncovers a new narrative of Israel's formation, and proposes a bold analysis of nationalism that accounts for the old myths. After a long stay on Israel's bestseller list, and winning the coveted Aujourd'hui Award in France, "The Invention of the Jewish People" is finally available in English. The central importance of the conflict in the Middle East ensures that Sand's arguments will reverberate well beyond the historians and politicians that he takes to task. Without an adequate understanding of Israel's past, capable of superseding today's opposing views, diplomatic solutions are likely to remain elusive. In this iconoclastic work of history, Shlomo Sand provides the intellectual foundations for a new vision of Israel's future. Shlomo Sand studied history at the University of Tel Aviv and at the Ecole des hautes etudes en sciences sociales, in Paris. He currently teaches contemporary history at the University of Tel Aviv. His books include "The Invention of the Jewish People," "On the Nation and the Jewish People," "L'Illusion du politique: Georges Sorel et le debat intellectuel 1900," "Georges Sorel en son temps," "Le XXe siecle a l'ecran" and "Les Mots et la terre: les intellectuels en Israel."